On March 6th, 2019, I attended the second part of the Climate Change and Environmental Issues panel. This event was held at Hagerty Hall from 6:30 pm to 8 pm. The event consisted of a panel of three speakers, each presenting on research or organizations related to issues of Climate Change and the environment. After each of the speakers presented there set time for questions from the event host and from the audience. The presentations themselves mostly consisted of efforts being taken in Columbus and the campus area and of research regarding the environment and how climate change in Ohio. However, just as I argued in my last reflection, the very nature of Environmental issues is that there are international issues. Changes in the climate in what part of the globe can drastically affect the rest of the world and solutions to climate change, while often come from local sources, must also be addressed at the international level. For example, the initiative to get Columbus to 100% carbon neutrality that the speaker from the Sierra Club discussed is part of a larger national movement that would have global effects. Overall, the issues surrounding climate change are some of the most pressing issues, international and domestic, of our generation. I would say that what I personally gained from this event was a greater understanding of what people in the Columbus area were doing to address climate change. This event reaffirmed for me that despite an inactive federal government regarding environmental issues, climate change policy is still progressing at the municipal levels. Overall, this event did instill a degree of optimism that other climate change presentation I have seen haven’t. Where this class intersects most with my class material was in the Sierra club initiative. In my City Planning classes, a major point is that cities can play an important role in addressing climate change. The concentration of population and smaller scale than the national level allows city to have a great deal of influence regarding sustainable policy making, and especially when acting in conjunction with other cities. In the planning field, sustainability policy has become an increasingly important area of study as more cities want to address these types of issues, like carbon neutrality. The project that the speaker from the Sierra Club discussed is a perfect example of how environmental planning works on a city level. If I had the chance to ask the speakers a question, I would have asked how much of a role the local government, specifically planners, could play in climate change policy. For example in the case of the initiatives taken by the University, how much could the Columbus government either aid or learn from what the University is doing to address climate change? On Friday, January 25th, I attended the ICS event at Page Hall on Air pollution & Human Health in China. The subject of this event was out of my usual comfort zone, but I was open to learning more about this field. The event did not turn out to be what I expected. What I expected was a discussion more focused on the politics surrounding China’s air pollution and climate change in general. In reality, the presentation focused more on the health effects of Chinese air pollution and a comparative study of Chinese and American air pollution. The speaker presented a different perspective than I was used to, but I was not disappointed at all because it is always useful to hear from perspectives outside your own. There are several ways in which this event relate to International Affairs. First of all, China is quickly becoming an inescapable topic of discussion in International Affairs. Likewise, climate change is one of the most pressing international issues of our time. As the second largest economy and second most populous nation, any action that the PRC regarding climate change is very important to discuss. In other words, when these two issues are discussed in the same forum, it is important for those in international affairs to pay attention. Academically, I believe that I gained a fair amount from this presentation. I believe that this event helped to give me a better understanding of the real health effects of pollution. Coming from a region with relatively little air pollution, I do not have much of a conception of what pollution at those levels looks like and how it can affect the human body. Second, the presentation gave me further insight into international climate change policy, a field that I do not study very often. Hopefully, I will have the chance to study similar topics in my future studies. This program did not relate to any specific topics that I have discussed in any of my classes up until this point. Even though this topic is a major discussion in the field of international studies, I, unfortunately, have not taken any classes yet that extensively discuss China or the threat of climate change. The classes that have mentioned these topics have only covered them briefly as examples of larger international phenomena. For the month of October, I chose to volunteer for the annual Law School Fair from 9-10:15 am on Thursday, Oct. 25th. There were several different tasks the volunteers could have been assigned to do: law school registration, student sign in, greeting people and directing people to the fair, and set-up. I was assigned to student sign-in, but because my shift had me working before the actual start of the event, I was given the responsibility to sign law school representatives and direct them to their booth. I feel that this service event fits very well into the theme of international affairs. For many people that are within the international studies major, like myself, Law School is a common option for after graduation since a law degree opens doors to careers in foreign policy and law regarding international affairs. Also, there are many sub-fields of law that deal directly with issues of international affairs, such as international law and immigration law. I myself am not looking to apply to law school and I am pretty set in that decision, so the Law School Fair itself did not pertain to me in the same way that it would for a pre-law student. 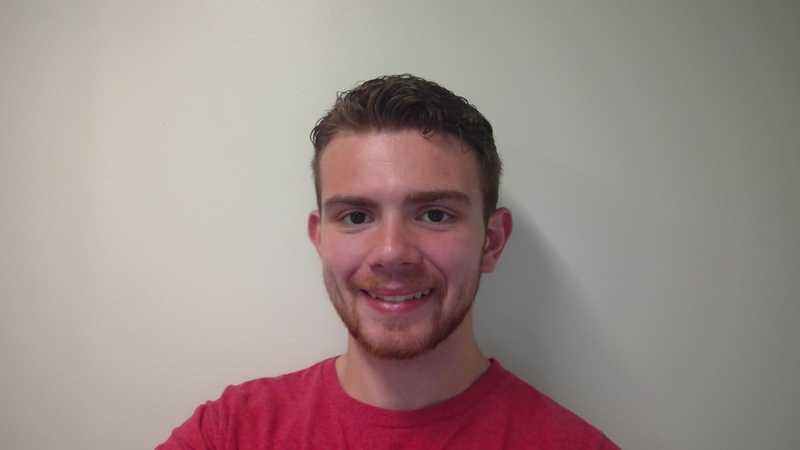 However I am planning on going to grad school directly after graduation, and what I believe I gain from volunteering was a look into how I should begin my search for possible grad school programs. Up until recently the idea of looking for grad programs was extremely intimidating in part because I am not sure of exactly which kind of program I want to apply to, but also because I don’t know what kinds of schools to look for and apply to. I realized that a smart way to help my search would be to contact the departments of either International Studies or City Planning (both are programs that I have been considering pursuing after graduation) a grad school fairs or similar events. These kinds of events would let me speak to representatives from graduate programs without having to travel as much as I did while looking for undergrad and give me a better understanding of the schools that offer these programs. One thing I wish I would have been able to do that day would be to just walk around the fair to just see how grad schools advertise themselves, what kinds of criteria they are looking for, what are the criteria that other students look for in grad schools. The information I would have received at the Law School Fair would have been limited, but it could have helped put me on the right track to deciding where I want to go after I finish undergrad. AT this point, an ideal post-graduate job/interview would be at a city planning firm to gain some experience in the field before going to grad school. Especially being that I am a City and Regional Planning minor and not a CRP major means that, if I choose to go into that field, I would have much less experience with the material than my classmates. Overall, I feel that volunteering at the Law School Fair was extremely beneficial even though I am not pre-law because it gives me a sense of where I need to go in terms of my own post-graduation search. On Sunday, August 26th, Sam Stelnicki held her first Current Events Conversation in the Glass Classroom of Smith-Steeb. In this event, we discussed the current situation in the Venezuelan Economic Crisis. The ongoing crisis has several implications not only for Venezuela but for surrounding countries such and Brazil and Colombia and for the region as a whole. In the event, we discussed the factors that led to the crisis, focusing on the country’s economy. Some of the main issues that we covered were the hyper-inflation, the excessive spending during the oil boom, and how the South American nation’s dependency on oil exports have affected the economic crisis. After the event, I felt like I definitely had a better understanding of the origins of the crisis. I have a fairly limited experience learning about the crisis in both high school and in college. In most classes in which the Venezuelan Crisis is covered, we only really go over the political causes and consequences of the event, but it was interesting to see the event from a more economic side. IN terms of any type of professional gains, I hope to work with Latin American Issues to some degree, whether domestically or abroad, and a better understanding of this major crisis definitely would aid me in terms of better understanding the region as a whole. Being that I am an International Studies and Spanish double major, this discussion on Latin American affairs is very relevant to my coursework in several of the classes I have taken. International Studies 4242, titled Incomplete Democracies: The (Un)Rule of Law in Latin America, has the most relevance in this case. The class is focused on corruption, violence, and the rule of law in Latin America. We often discuss issues of police violence, the war on drugs, and the problems in judicial systems of several Latin American countries. In fact, we have discussed Venezuela multiple times within the class regarding political corruption and the excessive use of police force directed at protesters. While the discussion focused mostly on the economic side of the situation in Venezuela, it was interesting to see the crisis from a different perspective than has been presented to me in classes that I have taken that have covered this topic. Overall, I thought that the event was informative and was a good opener to Sam’s event series. I did feel that it started a bumpy because it was the first of the series and I’m sure many of the people that attended were either shy or did not know how to enter the discussion. However, as the event went on, we became more comfortable asking questions or expressing our opinions to the group. Some small debate even occurred on certain issues. I definitely feel that this event was a good early event because it provided a space for the second and first-year students to interact, which does not happen often. I plan on going to some of the future Current Event Discussions in the future. This Artifact represents the group project that I worked on for my International Affairs Scholars Freshman Seminar. 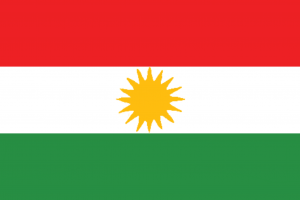 The preoject itself was on the Kurdish referendum of October 2017. I was placed in a group with three of my classmates and was instructed to do a project about a global issue. The project itself consisted of a 5 page paper that we would submit as a group and a poster that we would present to the class. Firstly, this project gave me insight into an issue that I did not know much about. 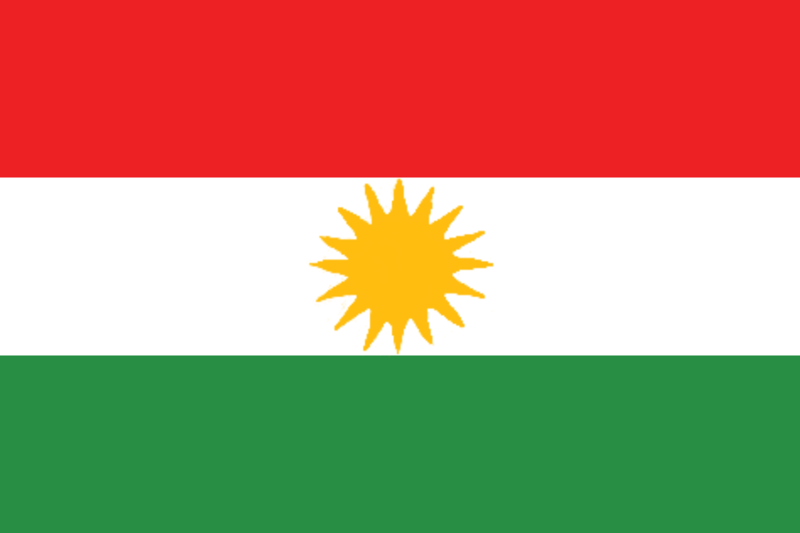 I learned about the history of the Kurdish people and their fight for independence. I also learned however is how I work in a group setting. What this project helped me to do is communicate and work more efficiently with group members. Admittedly I have not always been the best in group work, but thsi experienced helped me improve myself in that way. In the future, I will use the techniques I improved in this experience to help me be more trusting of group members to do quality work, which is an issue I find that I have. My name is Gary Armyn. I was born on January 28th, 1999 on Long Island, New York. I am a member of the class of 2021 at the Ohio State University. My intended major is International Studies and I am minoring in Spanish and Geographic Information Sciences. My hope is to one day work for the United States State Department either in D.C. or in a US Embassy. I am currently a member of several students organizations at Ohio State, including the Majors and Minors a Capella group, the Alexander Hamilton Society, and Amnesty International. In my free time, I enjoy reading, watching sports and Netflix, and Fencing. Overall, I would describe myself as a determined, easy-going, and compassionate person.